In 2003, Shoichi Uchiyama unveiled a new design for Louis Poulsen: the Enigma lamp, which deconstructed the traditional chandelier concept into slim layers of concentric circles. Its modern simplicity, original form, and unique shaping of light quickly made Enigma a bestseller. Now, the pendant – originally released in white – is being joined by a stylish new black counterpart. The new, black edition, available in all three Enigma sizes, expands the design’s decorative possibilities, and creates a serene visual and atmospheric effect as it shapes and channels light. 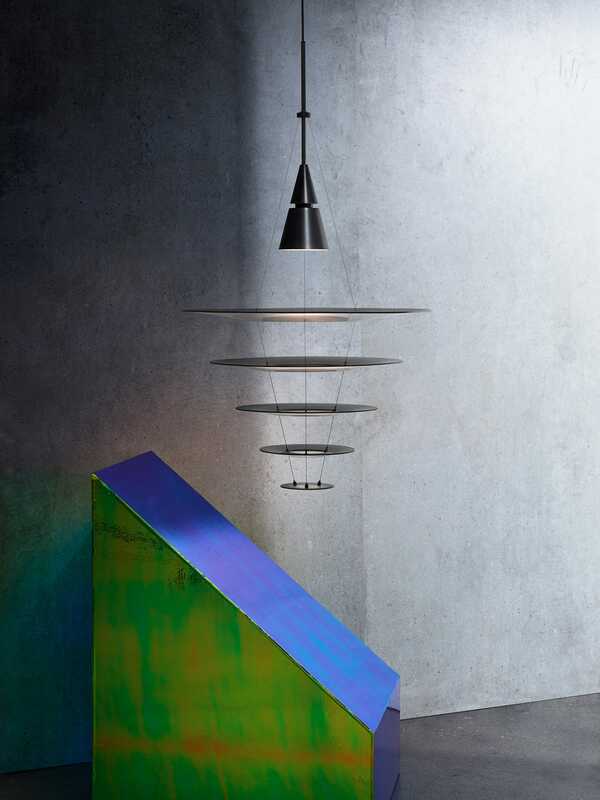 The Enigma’s bold, sculptural form and soft, controlled, glare-free LED light evenly illuminates surfaces and surroundings, making it ideal in entryways, hallways, and living areas, as well as above dining room tables, kitchen bars and islands. Louis Poulsen’s lighting philosophy is rooted in Poul Henningsen’s views on the dualities of lighting design: modernity and classicism, simplicity and complexity, tradition and innovation, and, of course, darkness and light. Uchiyama’s Enigma pendant capitalises on these contrasts. Yet while nodding to Henningsen’s multi-tiered design concept, Uchiyama’s artistic and functional pendant occupies a space of its own. “Poul Henningsen sought to create the best, the most comfortable and the most functional lighting,” says Uchiyama. “I had exactly the same foundation for lighting, and developed my own interpretation about light in empathy with him. This meant creating a new use of a light source and a unique way to control the light. The fixture has new features and functional shades. The rays from the light source accurately hit each of the shades, and no glaring light is seen from any angle.” The resulting innovative design enlivens and humanises any environment. Enigma in black will be available from September 2018. Tokyo-born Shoichi Uchiyama founded Shoichi Uchiyama Design Office in 1977, and has since been committed to the creation of luminaires with glare-free, indirect light. This dedication has led to the design of lighting that beautifies objects and allows people to experience the texture and depth of their surroundings. 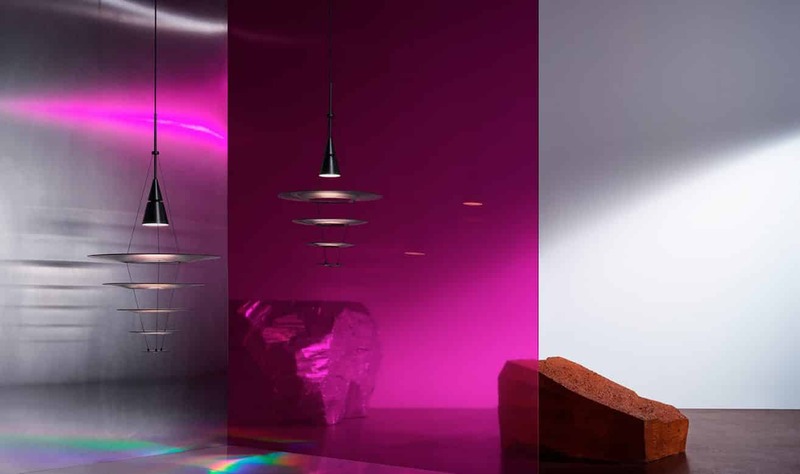 Uchiyama prepares full scale mock-ups with actual light sources, allowing him to examine the intensity and colour of light, the shadows cast on the objects, and the luminaire’s aesthetic appearance. Such strict design processes result in simple, functional forms with the minimalistic beauty for which the Japanese design tradition is renowned. Uchiyama has earned numerous accolades for this design work, including the iF Award in Germany and the Good Design Award in Japan.